The official announcement was The all the exams scheduled on 15/10/2018 was postponed. The new date for the exams will be announced. Bookmark our Anna University Exam Postponed 2018 Exam Updates page for updates. 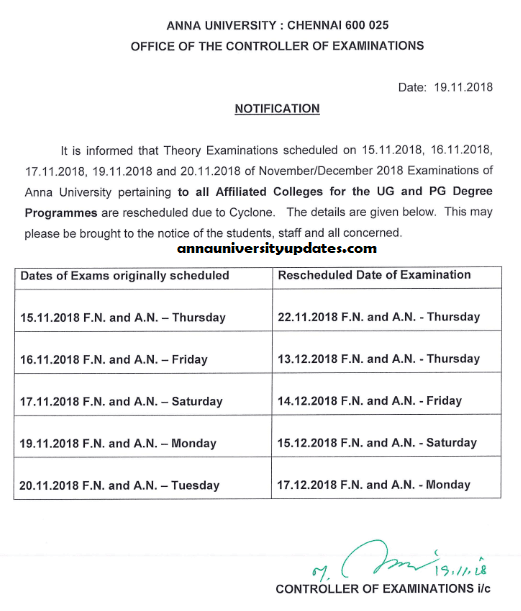 New aucoe.annauniv.edu Revised New Schedule For Postponed exams announced.